1.) Simply write down the items you want on any stationary along with grades and prices, or use our Online Order Form. You may also print out the pages which you are ordering from and circle or highlight the specific items ordered. Please refer to the chart below for domestic shipping cost. All shipments are professionally packaged and shipped fully insured via USPS. Overseas postage/insurance outside of the U.S. is $19 above our base fees above plus 1% for every $100. By way of example, an order for $1,000 would be $14+$19+$10 = $43. As always, all items carry a lifetime guarantee of authenticity and grading is guaranteed with a 15 day return privilege. *Please allow 10 business days for personal checks to clear, or about 3 to 4 weeks for delivery. All money order shipments are processed in the order received. Please allow at least one to three weeks for delivery. U.S. Postal Regulations allow for up to six weeks for delivery, but we often get shipments out in about half that time. We have customers in all fifty states and dozens of countries worldwide. Overseas postage/insurance outside of the U.S. is $24 above our base fee of $9, plus 1% for every $100. By way of example, an order for $1,000 would be $24+$11+$10 = $44. We can email scans only if the value is $5,000 or more, but we recommend that you always view the coins in person, using our 14 day return privilege. 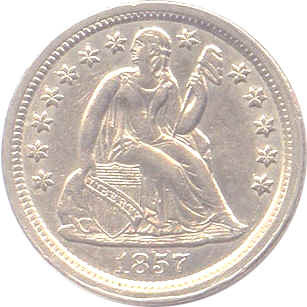 Scans, no matter how good, can never fully recreate the actual three-dimensional qualities of a coin. Also, due to time constraints, it would be impossible to scan each and every coin that comes in and out of inventory each day. Regarding our own experience with scanned photos on eBay and other auction sites, we have had to return too many over-graded but "well-scanned" coins, and have heard too many similar horror stories from our customers. 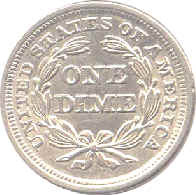 The simple fact is that a scan can never capture accurately the three-dimensional qualities of a coins strike, luster and toning. If this weren't bad enough, many sellers tend to manipulate the luster, toning, and even the sharpness of a coin through their scanning programs. We both lose if we over grade a coin, and that's the last thing we want. Long before the advent of "photo scans" we bought and sold coins the good old fashioned way: Properly graded with a full 14 day, no-questions-asked return privilege. Today, this time-tested tradition continues. Our satisfaction rate has remained over 99% since 1979. We want you to be happy, tell your friends, and make them happy too. This is how we have built our business of more than 65,000 satisfied customers worldwide over the past 28 years, and we hope to add you to our growing number of repeat customers. Please allow five business days for a response, as we frequently attend most major coin shows throughout the nation. All Merchandise is Kept in Bank Vaults. © 1995-2013 by CollectorsInternet.com. All material at this site is copyrighted by CollectorsInternet and may not be reprinted in whole or in part, or stored, or transmitted by any means, including electronic. All commercial use, transmission and reproduction of this site is strictly prohibited by national and international laws.